Though bad breath isn’t really something which dogs can do away with, really foul smelling breath is just wrong, not only when grooming habits and dog etiquette standards are being talked about, but also when one considers a dog’s general health and well being. If your dog’s breath is apparently beyond “doggy” (bordering towards being “rancid”, even), here are some tips in resolving and controlling doggy bad breath issues. 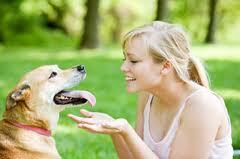 Fouler than usual bad breath in dogs is typically an indicator that something is wrong with him/her, health-wise. 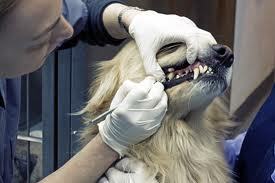 In most cases, foul doggy breaths are caused by the build up of plaque and tartar, or even linked with abscessed, broken or decayed tooth. Periodontal disease and periodontitis (AKA the inflammation of gums/tissue surrounding teeth) are also dental conditions which could lead to fouler bad breath. Apart from dental concerns, issues like sinus infections and even gastrointestinal disease can lead to fouler doggy breaths. 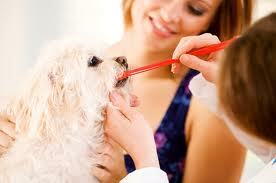 Mouth tumors or sores, and even kidney-related disease can also induce bad doggy breath conditions. Should you suspect any of the abovementioned causes to be the culprit behind your dog’s fouler than usual breath, it is advised that you seek professional help, not only in an effort to properly address the issue, but to also avoid further injury to you and your dog. 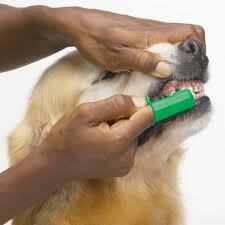 Consider the notion of treating your dog’s tooth cavity problem yourself. Unless you’re a dentist, and even if you are, it won’t exactly be a happy experience. Once the cause of your dog’s breath is identified and a resolution has been successful, it’s a good idea to maintain your dog’s oral health with easy to administer ablutions or enhanced for oral health items. 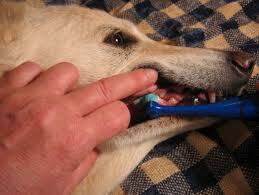 Brushing your dog’s teeth, just as with humans, maintains healthy gums and tartar free teeth. Since most human toothpastes aren’t made for swallowing, going to for-dog-use toothpaste helps in making the process as natural as possible for your dog. Regularly changing your dog’s water bowl/dish with fresh water is also a good method of ensuring healthier doggy breaths, a way to ensure that no bacterial products get to build up in your dog’s mouth. Adequate amounts of water also helps reduce the amount of anaerobic bacteria building up in your dogs mouth, with options to add oxygenating solutions in water dishes available. Alternating between dry and wet dog food items is also a good idea, given that the variation allows for a variety of food types which your dog chews on. Dry dog food items are known to be better compared to canned dog food items, but to go dry all the way also leaves your dog prone to other health issues, thus the value of alternating food items. If your dog’s breath just isn’t as “normal” as it used to, it pays to find out just what the problem is before problems grow into bigger problems. By identifying the cause of your dog’s bad breath and using the technique combination mentioned in this article, your dog’s breath can be as clean and healthy as his/her general constitution, gums and teeth.